Livestrong Still Standing after Armstrong’s Resignation | The world needs better communications! ← What Makes a Positive Public Profile? 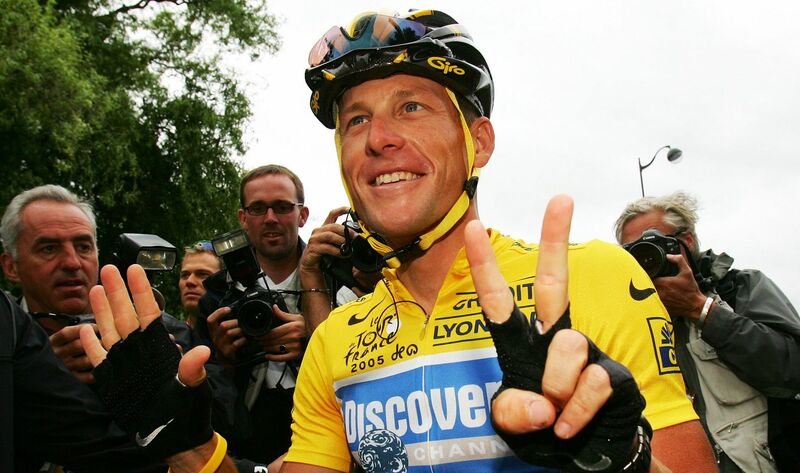 Lance Armstrong’s doping scandal has been controversial news for many weeks. The controversy started after he won seven consecutive Tour de France competitions. Many people suggested that he may be using performance enhancing substances, but he constantly denied allegations that he used drugs to secure his victories. Finally, through a candid interview with Oprah Winfrey, Armstrong confessed to illegally using EPO, blood transfusions, and testosterone while riding in all seven Tour de France competitions. Before this scandal, Armstrong was not only known for his Tour de France wins but also for his battle with cancer. He also developed the Livestrong Foundation that was started to help those struggling with cancer. Once this scandal was revealed, many wondered where that left the Livestrong Foundation. Would it collapse? Would donations cease to exist? Would Armstrong continue to be affiliated with it? Ultimately, Armstrong stepped down from the board of directors in hopes that his tarnished reputation would not implode the reputation of the Livestrong Foundation. Now Livestrong is severing its ties only with Armstrong’s Tour de France wins, not Armstrong himself. They removed Armstrong’s seven winning jerseys that once hung on the office’s wall, but Armstrong’s name still appears on the founders’ wall. Livestrong also wants to stay away from any celebrity endorsements, including Armstrong’s. Instead, they want to focus on the real people of the foundation, the cancer survivors who benefit from the generosity of the Livestrong Foundation. They want to demonstrate how Livestrong’s efforts can help cancer patients with their fight for life. Livestrong is emphasizing their free counseling sessions and patient transportation, therefore, demonstrating how these procedures benefit patient’s lives. Finally, they want their main focus to be on their mission to help fight cancer and to help those suffering with cancer. Livestrong hopes that by focusing on the positive efforts of the foundation, they can continue to succeed. They know that it is important to focus on helping people fight the battle with cancer and not to focus on the mistakes that Armstrong has made. It is also important that Armstrong stepped away from the foundation’s board of directors, so the public doesn’t begin to question the validity of the Livestrong Foundation. The Livestrong foundation has helped raise over $500 million and helped support over 2.5 million people affected by cancer. Without its efforts people suffering from cancer will have one less support system and one less organization that they know they can count on. Livestrong should continue their efforts with releasing positive information and news stories. Their effort to give a new face to Livestrong, the cancer survivors who prosper from Livestrong’s efforts, should help shed light on the cause and deter any associations with Armstrong’s doping scandal. If the public can see how important Livestrong is in many people’s lives, then hopefully people will continue to donate and support the foundation. This is a great example of the fine lines that organizations must sometimes tread with regards to media coverage. As a cancer survivor and seven-time Tour de France winner, Lance Armstrong was an ideal poster boy for the Livestrong Foundation. His fame helped the organization gain international coverage and his affiliation propelled it to new heights. The doping scandal put everything at risk; however, I think that the organization has done a good job with this situation. They have made a distinction between Armstrong’s personal/career decisions and his role in the organization. Livestrong was smart to focus their recent campaigns on everyday people affected by cancer; they distanced themselves from Armstrong’s celebrity drama and added a sense of credibility and realness. Great post! You have to wonder what kind of a person Lance Armstrong is, being able to carry out a lie with such determined force for so long. I think this is obviously going to be a great public relations case study that will be par for many courses going forward. I can just imagine the crisis communications meetings Armstrong’s admission of guilt must have prompted for the Livestrong Foundation! It was wise of him to step down from the board of directors, I think, as it will hopefully keep the fallout for Livestrong to a minimum.